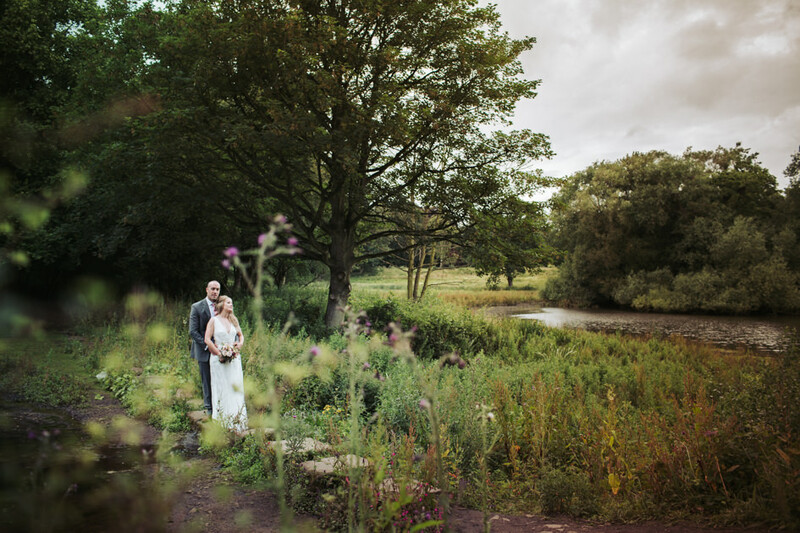 The Yorkshire Sculpture Park is a wonderful setting for a wedding with its vast grounds surrounded by rolling hills. 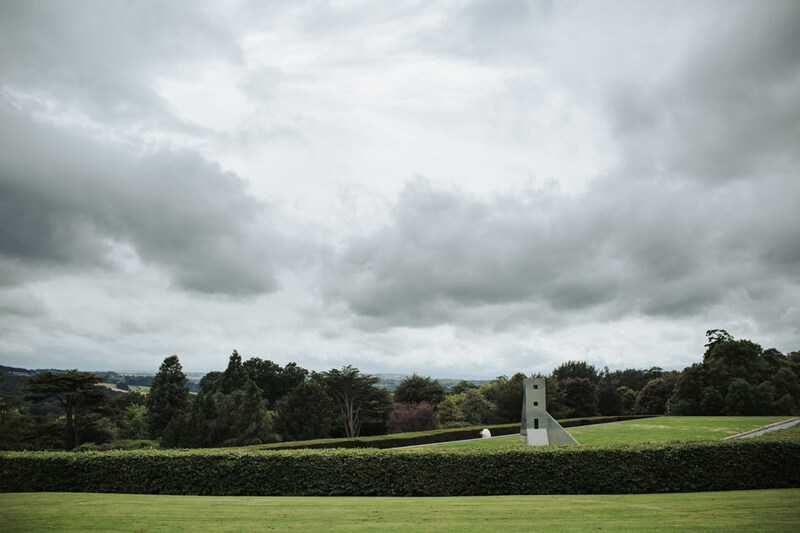 I’ve spent many a happy day over the years visiting the YSP, investigating all the delights it has to offer and admiring the many impressive sculptures. 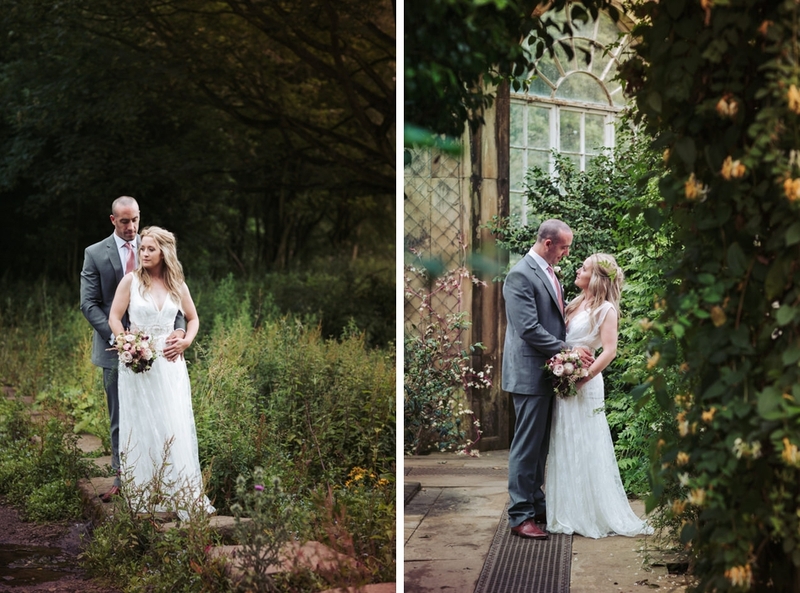 So you can imagine, I was over the moon when I was asked to be photographer of a Yorkshire Sculpture Park wedding! 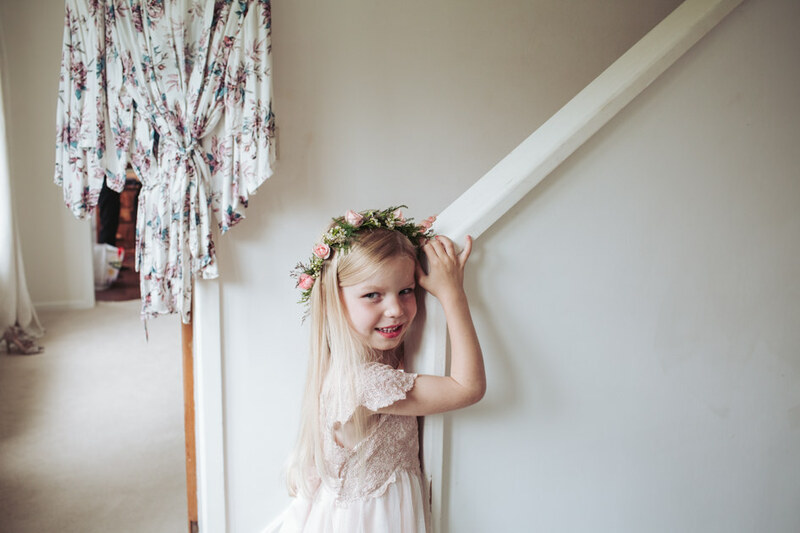 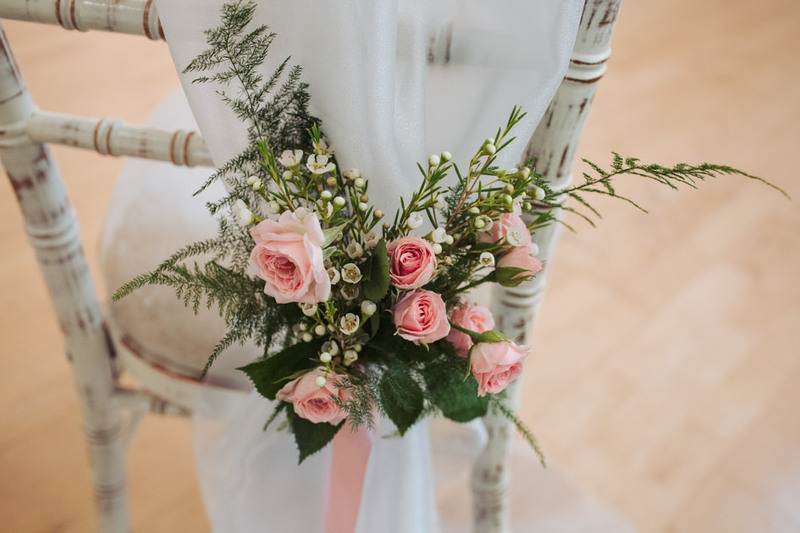 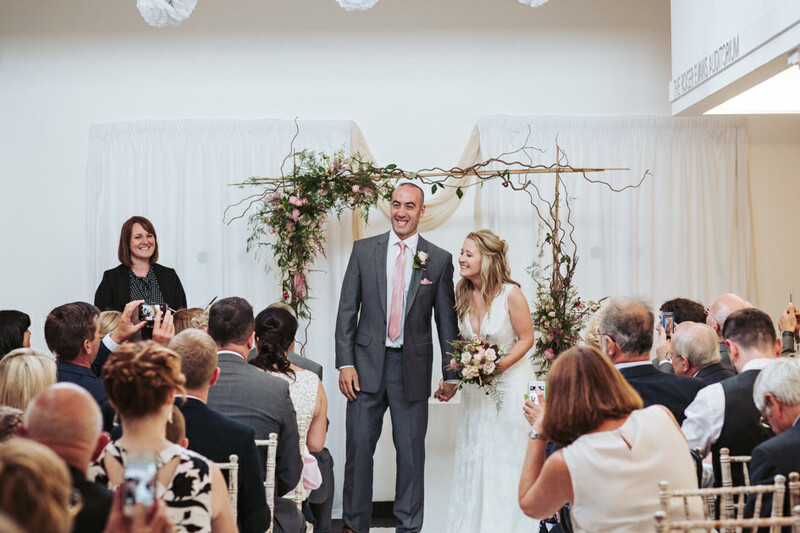 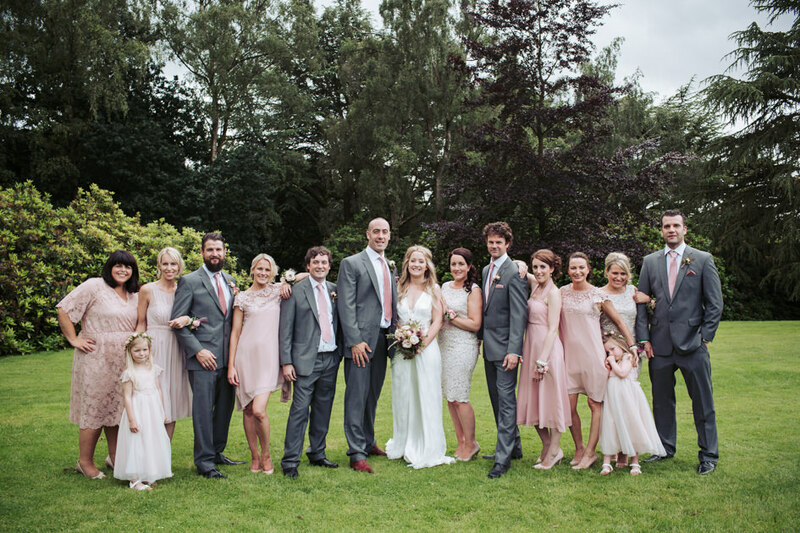 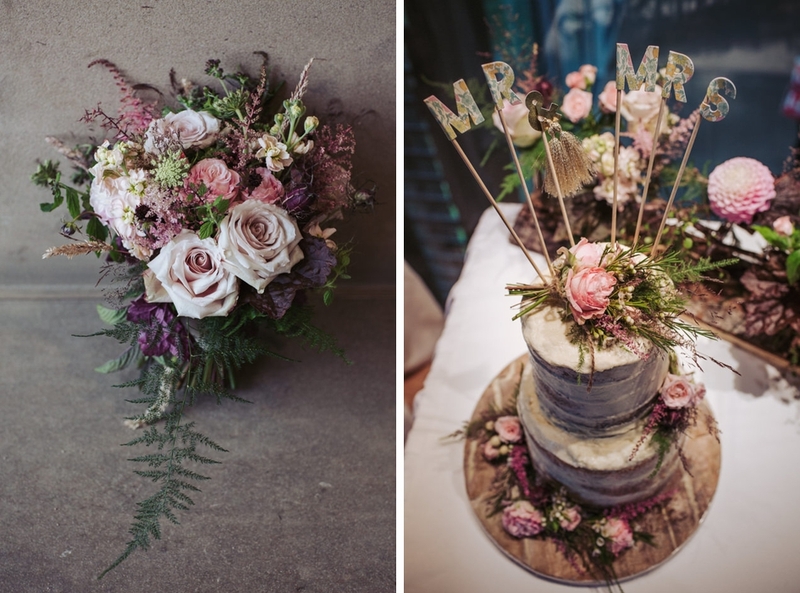 A rustic theme ran throughout the wedding, with a pink, ivory and purple colour scheme. 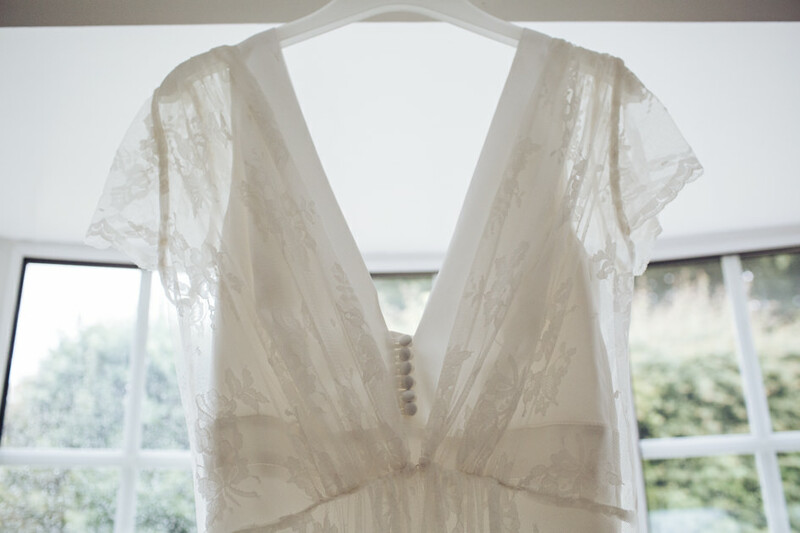 The bride wore an elegant silk slip dress with lace overlay. 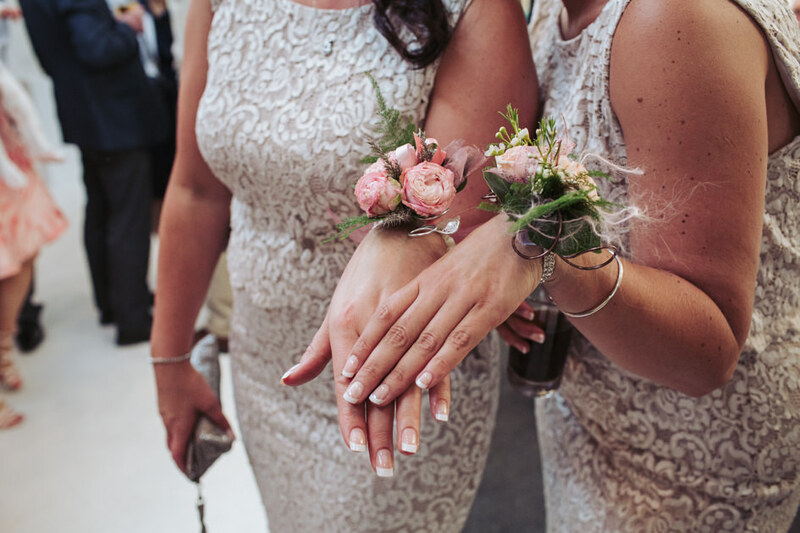 The bridesmaids were in various styles of dresses dusky pinks and ivory with wrist corsages instead of bouquets. 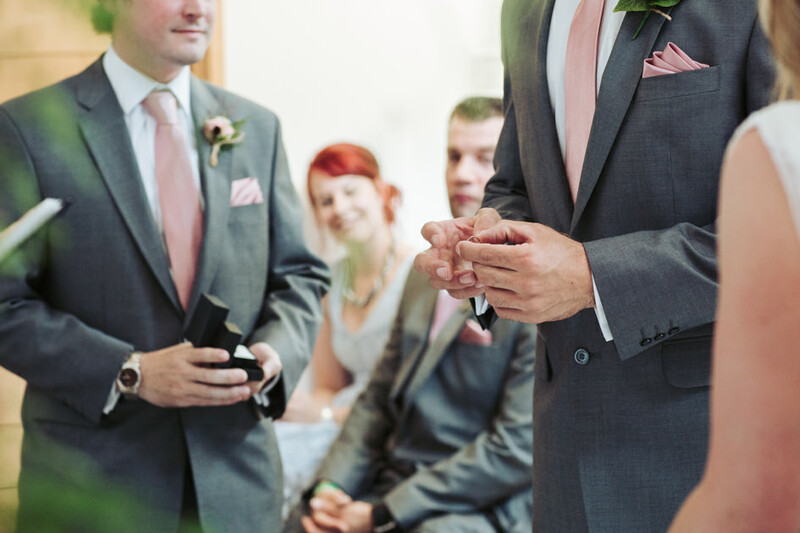 The men were looking very handsome in grey suits, coordinating with the ladies with their pink ties. 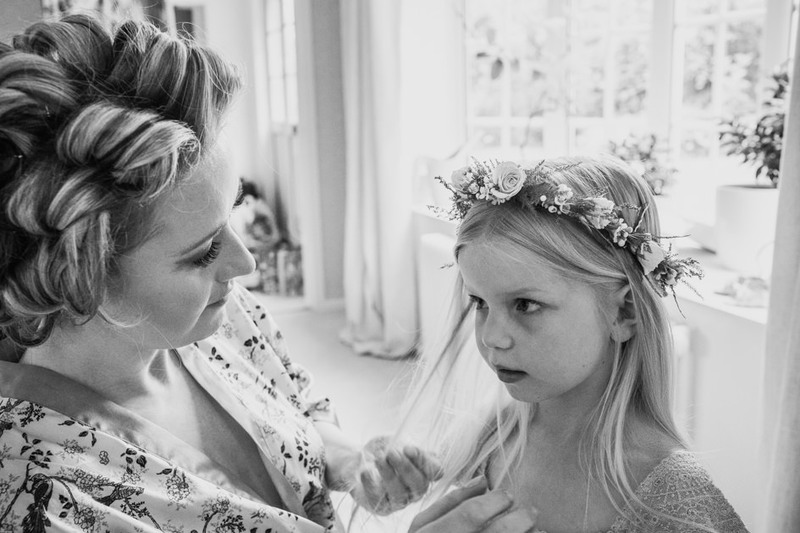 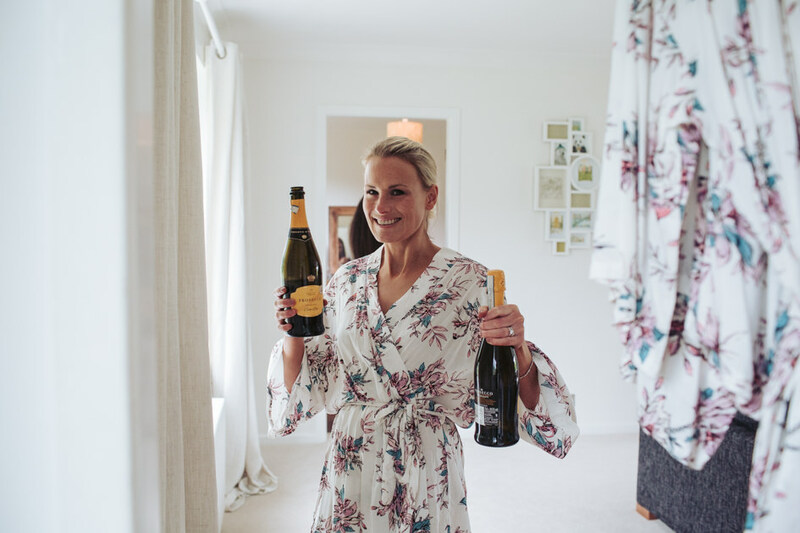 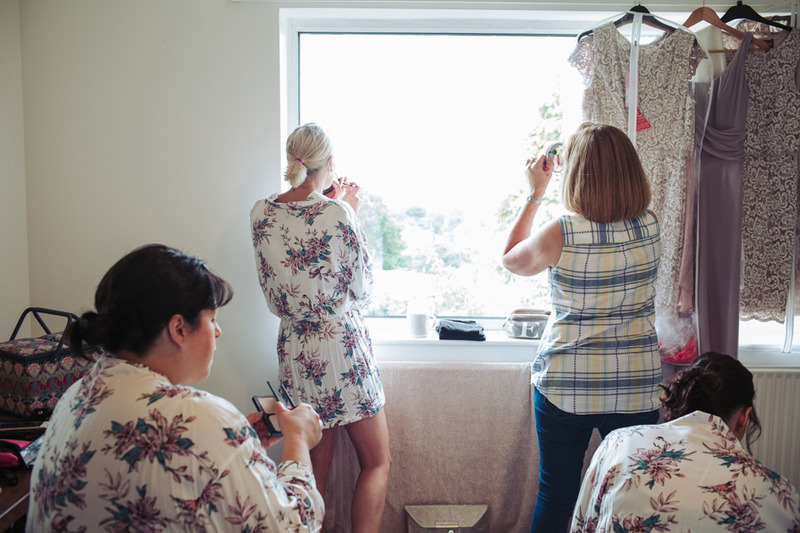 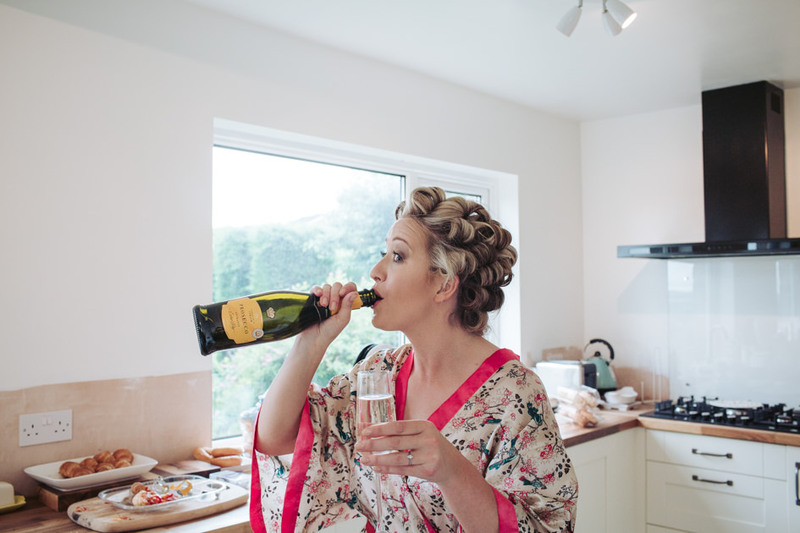 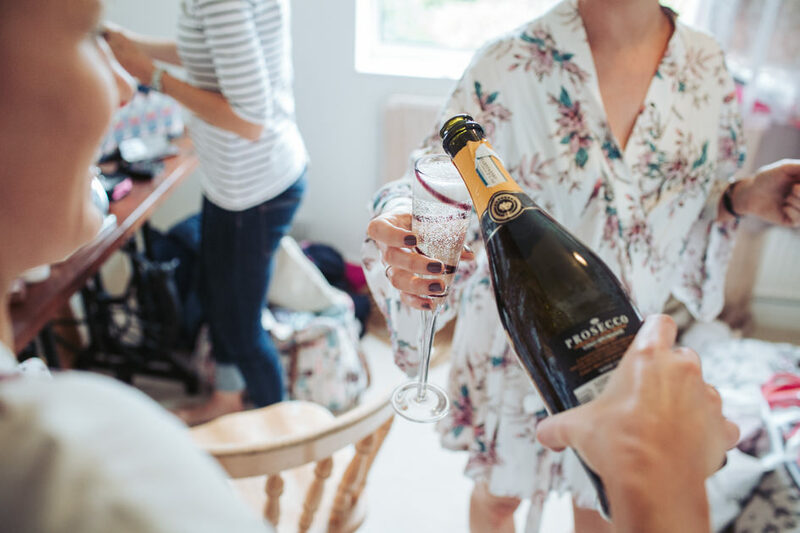 The bride’s day started at her home in Huddersfield, readying herself with bubbles and bridesmaids. 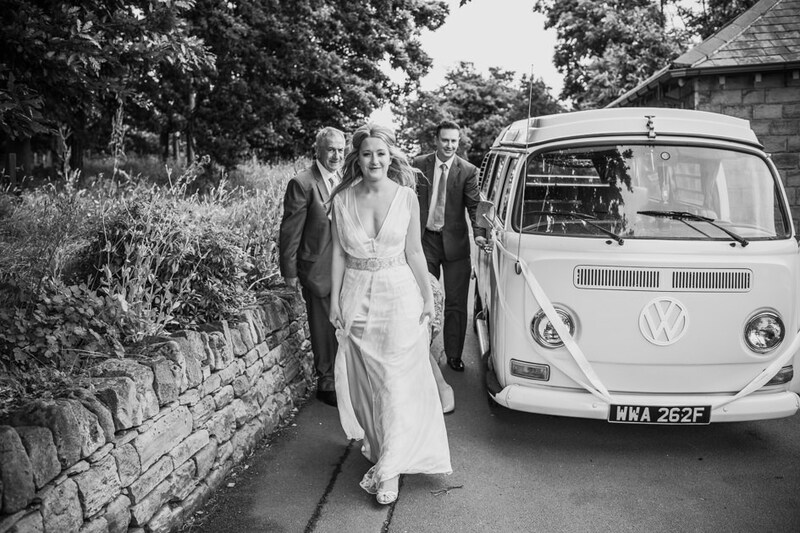 Afterwards making her way to the Sculpture Park in a VW camper van. 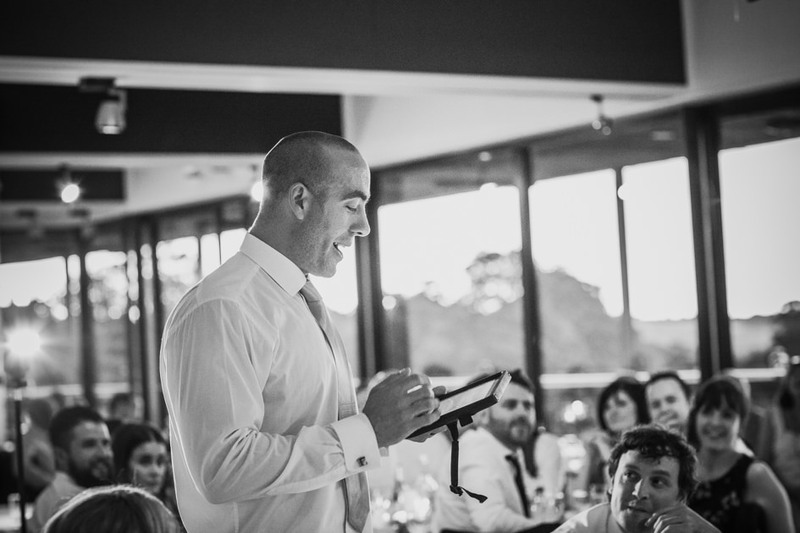 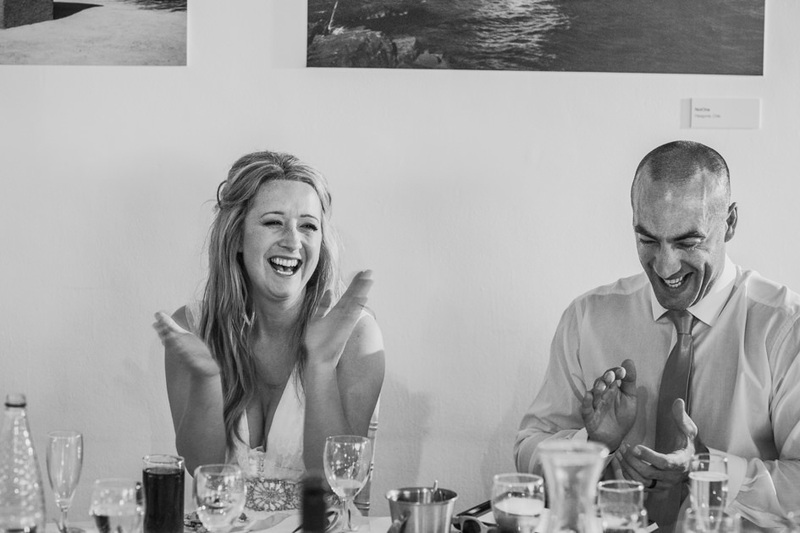 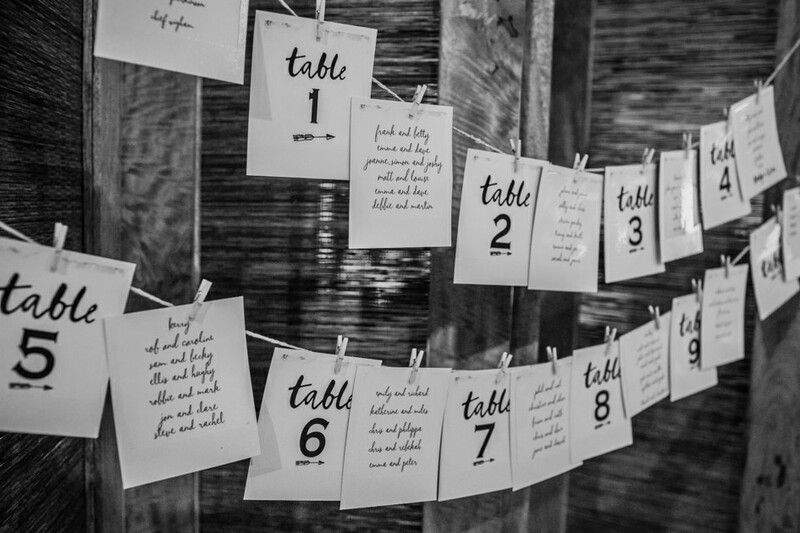 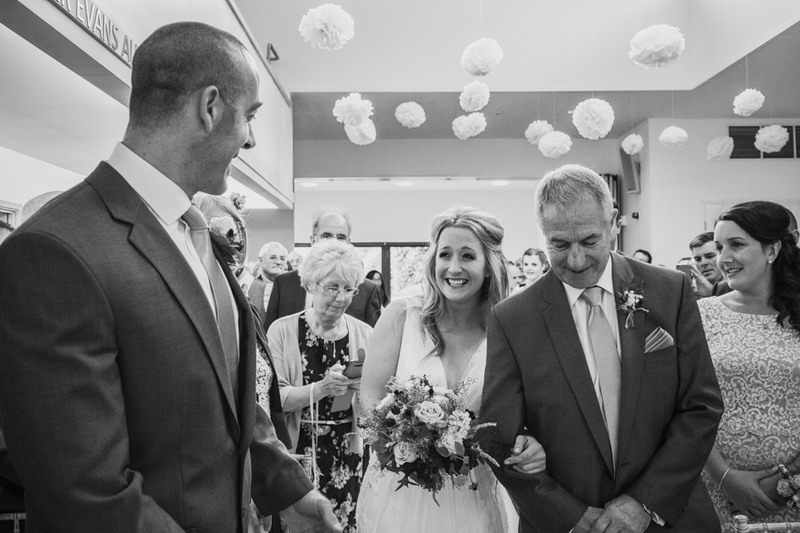 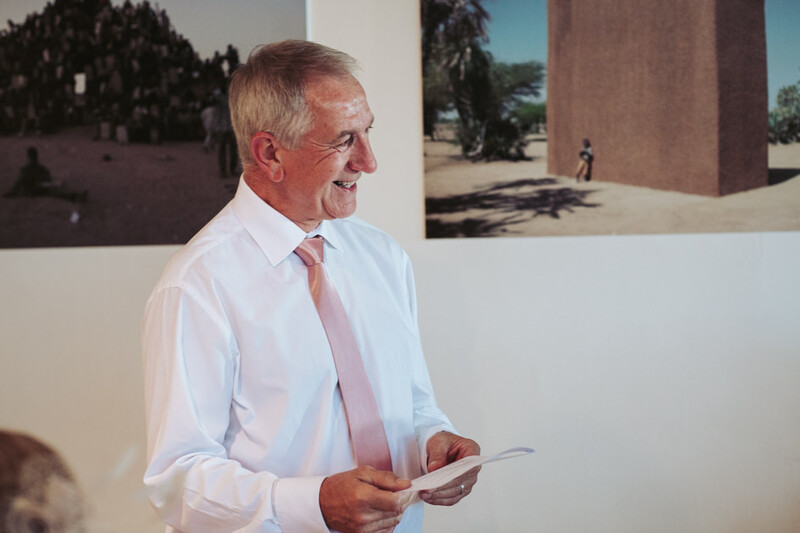 During the ceremony the bride and groom were in fits of giggles trying to say their personalised vows to one another, including promising to put the dirty bowls in the dishwasher rather than on the dishwasher – much to everyone’s amusement! 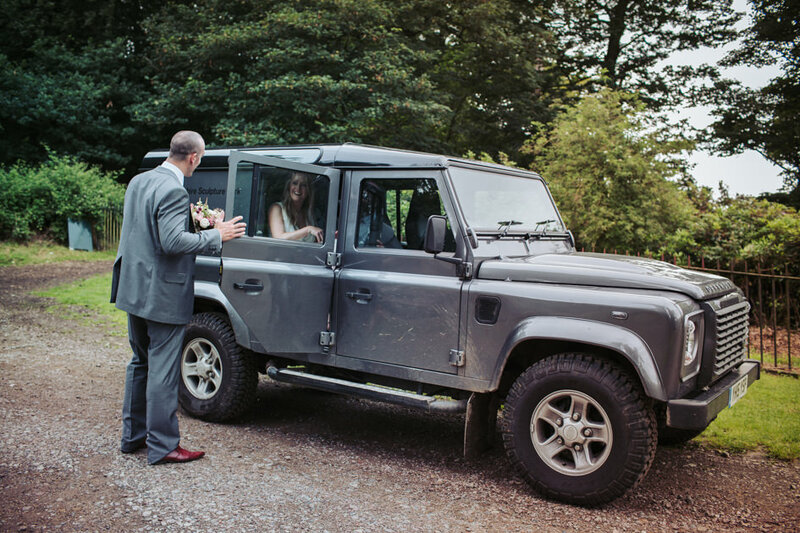 We later headed out for some couples photos as part of a Landrover tour of various locations. 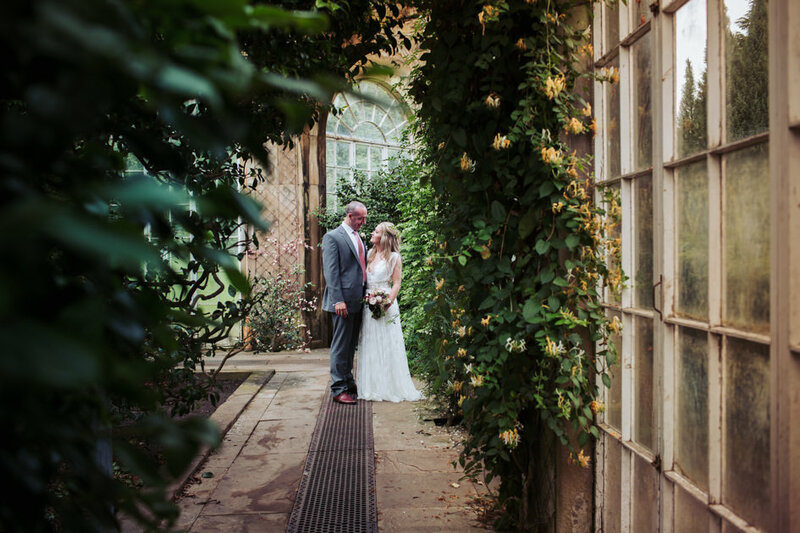 This included stopping at some picturesque spots by the lakes, as well as visiting the Camellia House, before heading back to enjoy the company of their guests. 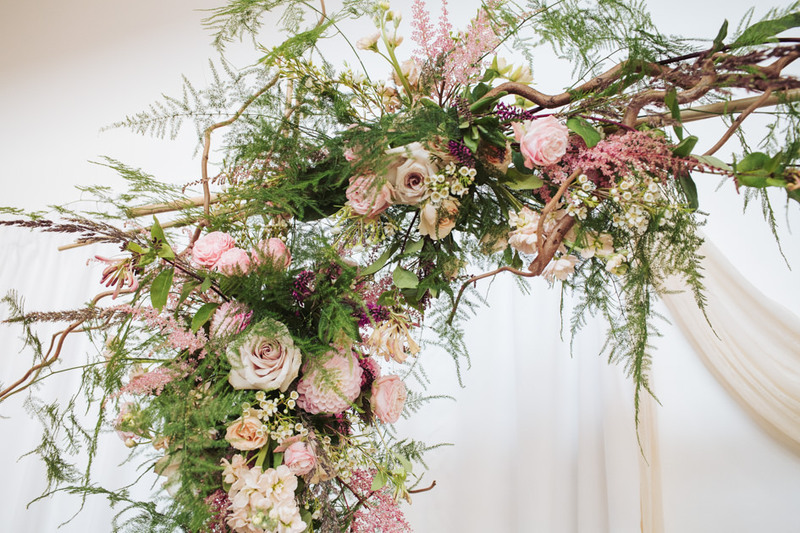 Beautiful displays of flowers had adorned the day in their dusky hues. 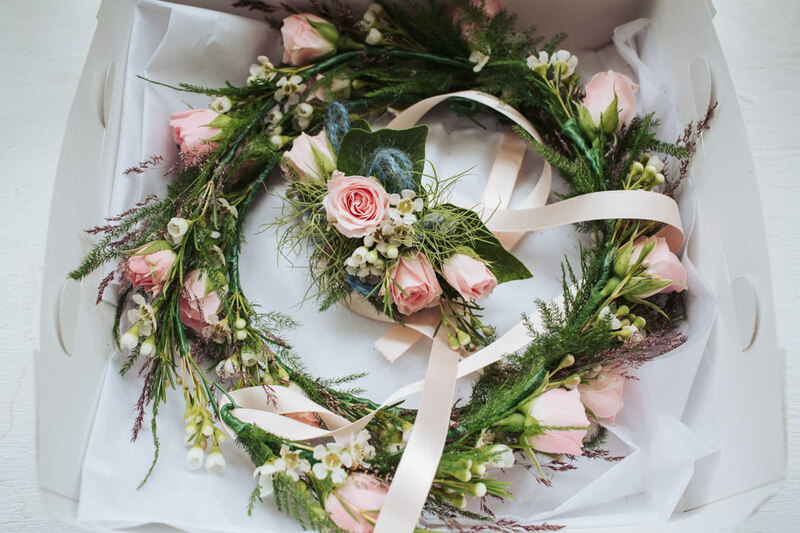 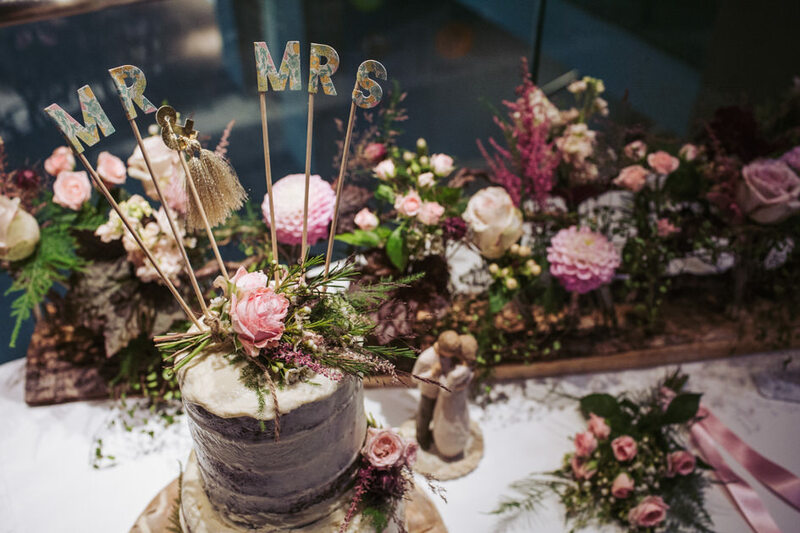 With roses, ferns and dahlias creating splendid arch, table and cake decorations. 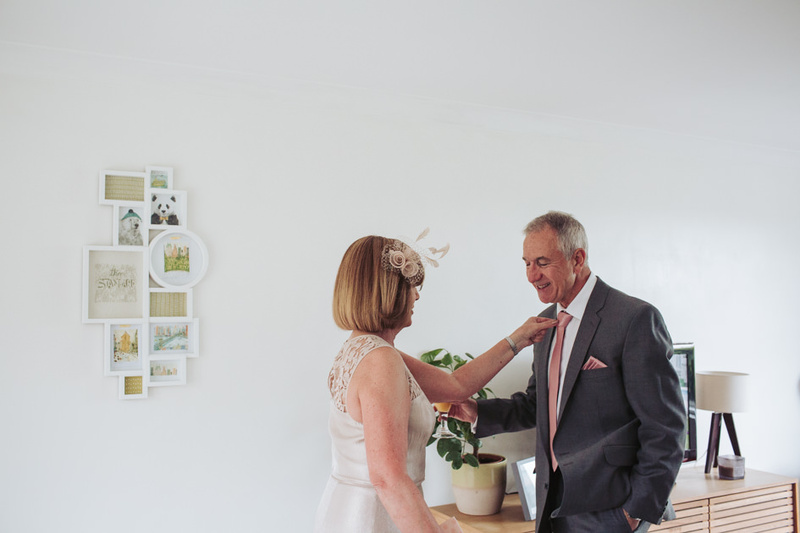 In keeping with the flower themed day, sweet pea seeds were given as wedding favours. 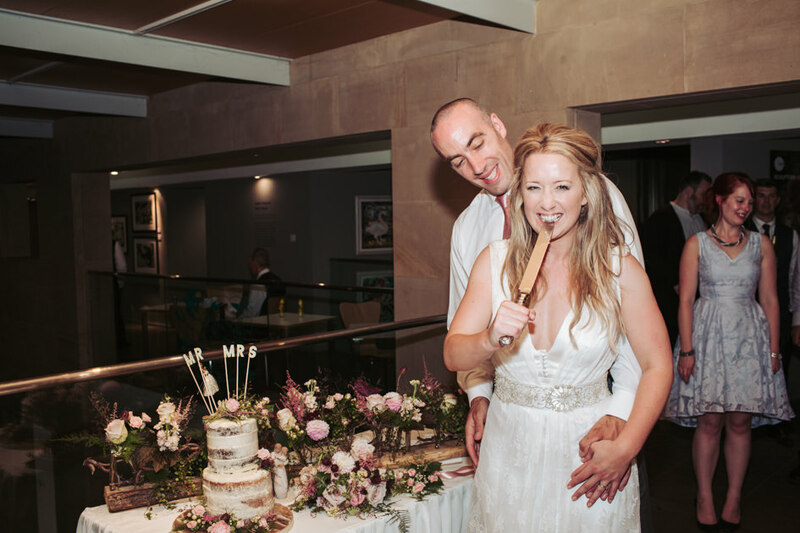 The naked cake was as tasty as it looked and I just loved the Liberty print Meri Meri cake topper! 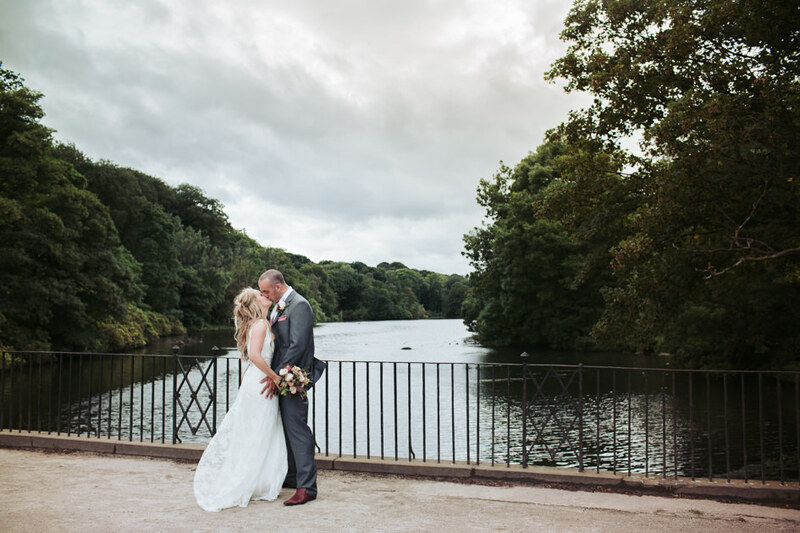 Thanks to the rain skirting us by, it was a marvellous wedding day at the YSP. 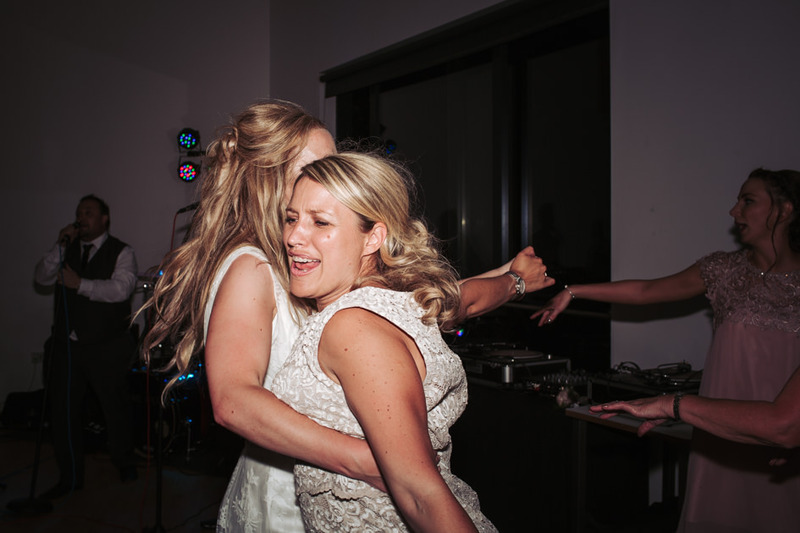 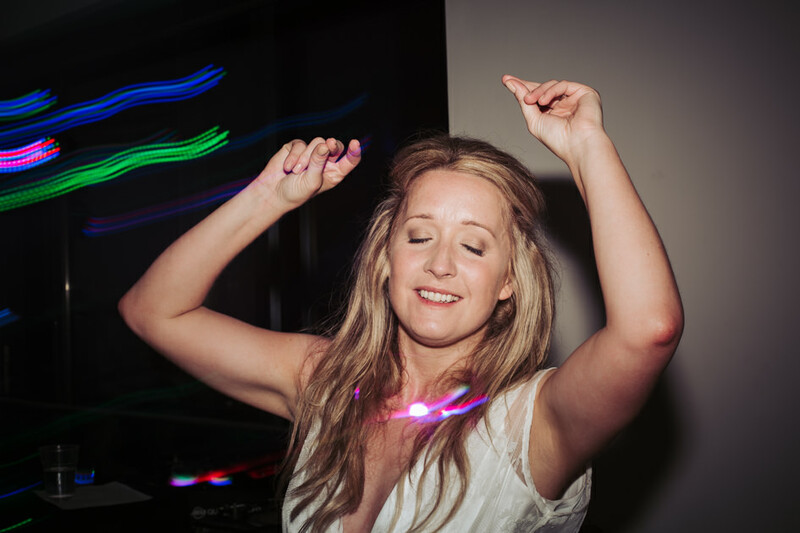 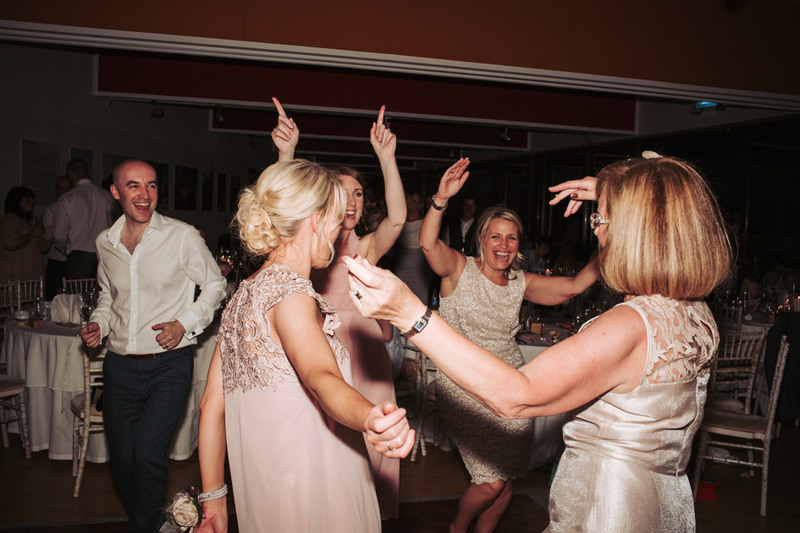 And of course, no wedding day would be truly complete without everyone getting their groove on the dance floor! 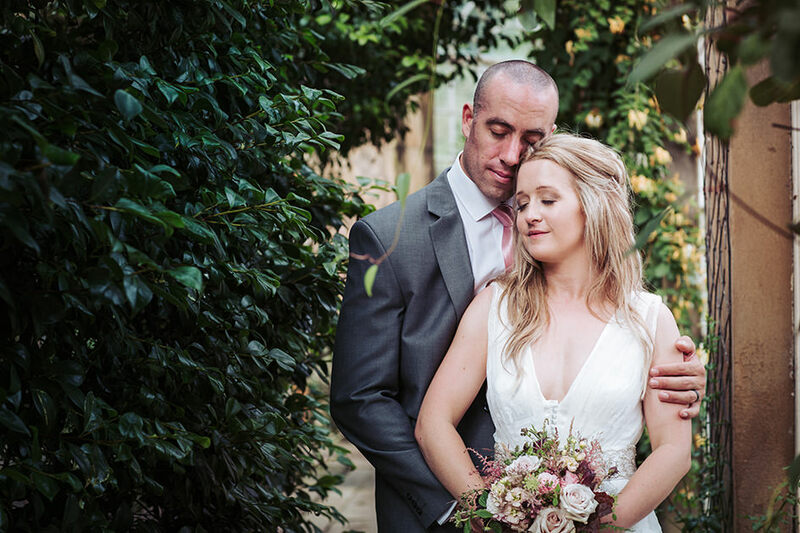 Many congratulations to the lovely Amanda & Christopher!! 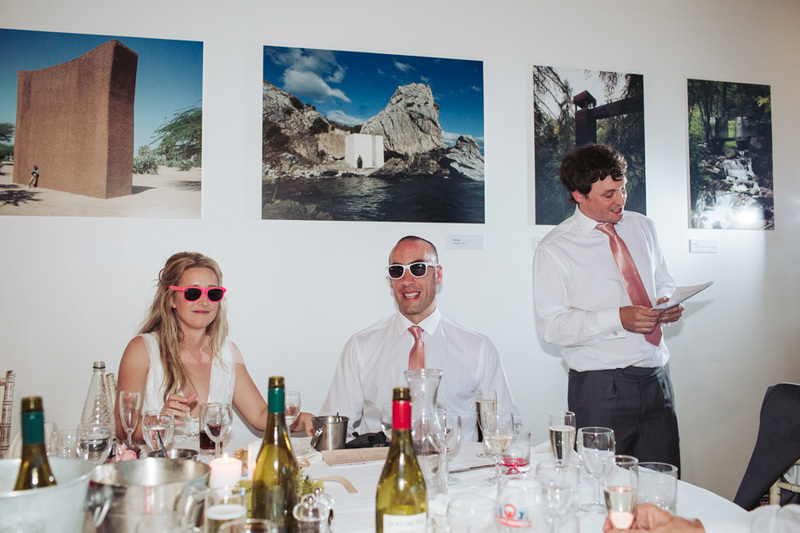 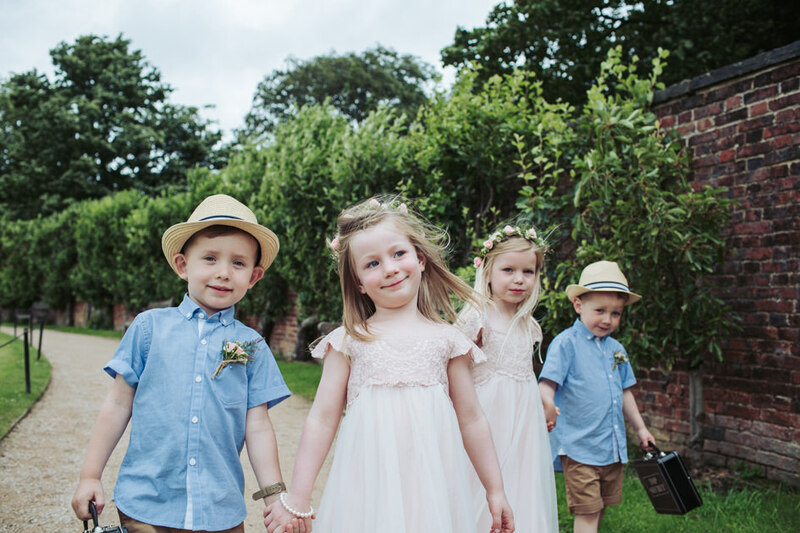 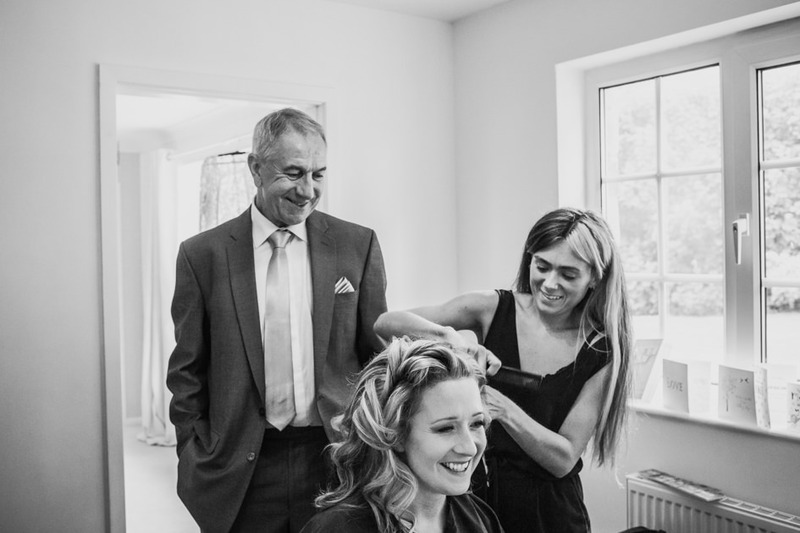 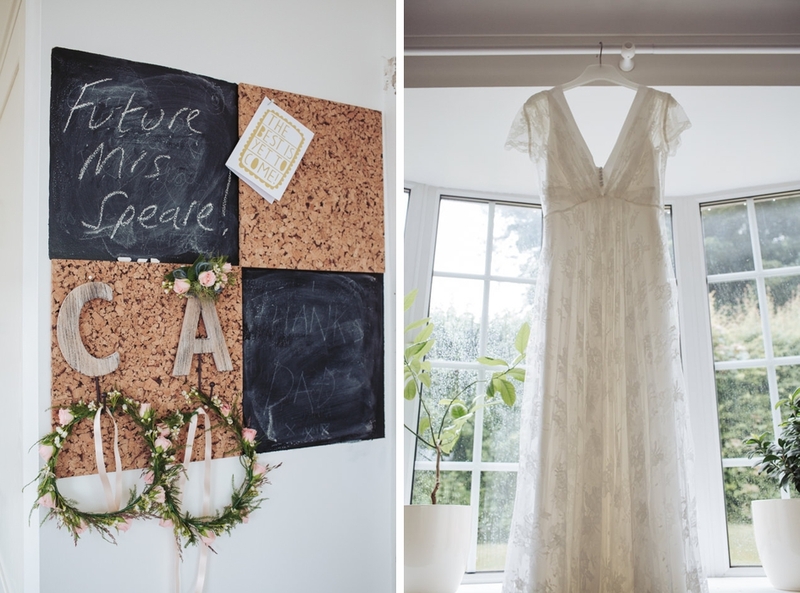 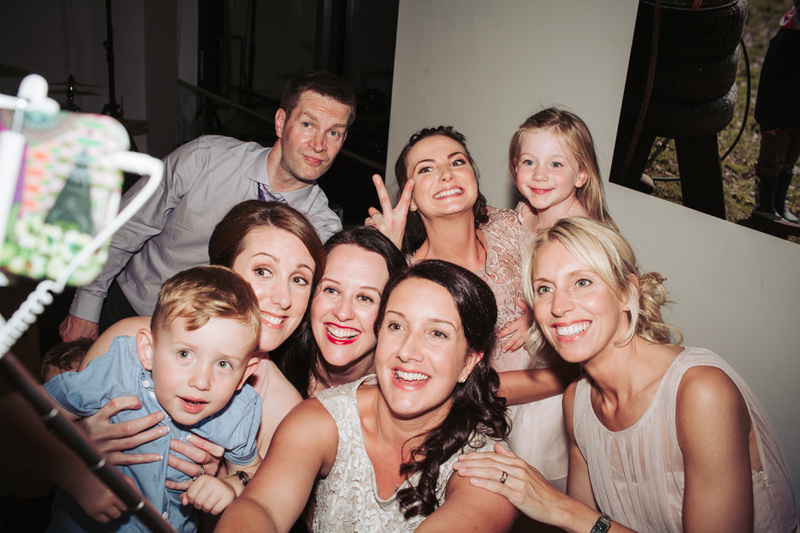 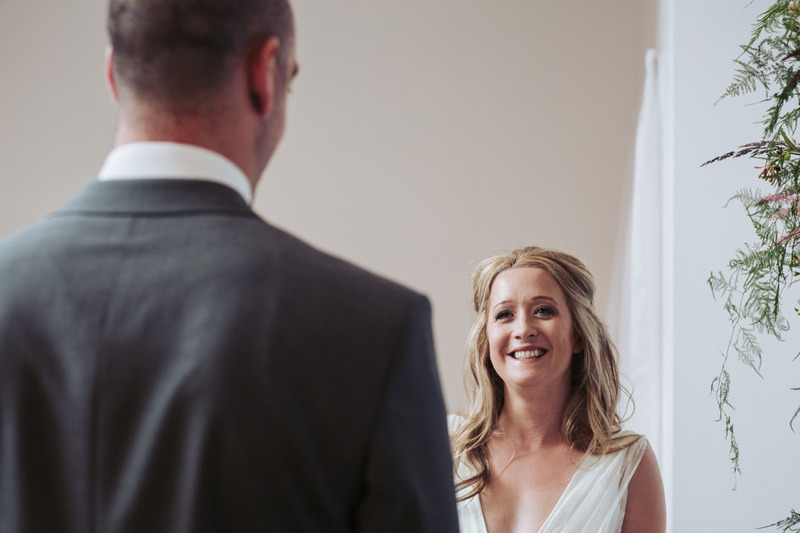 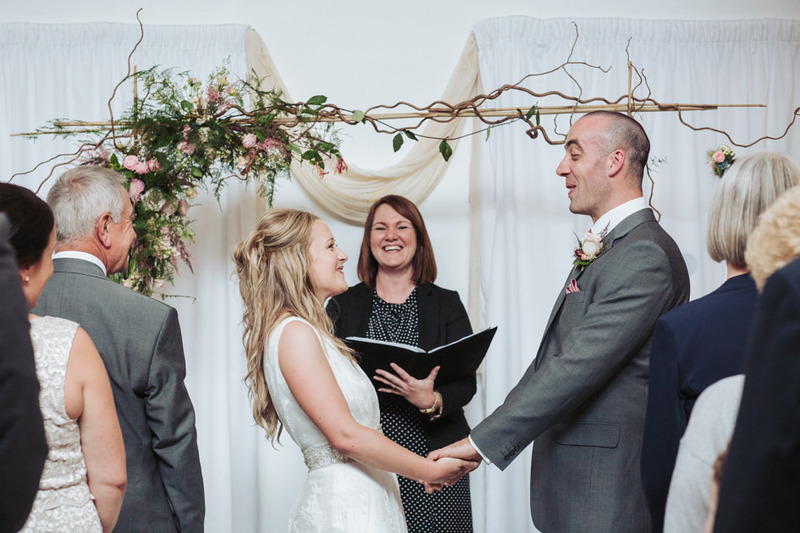 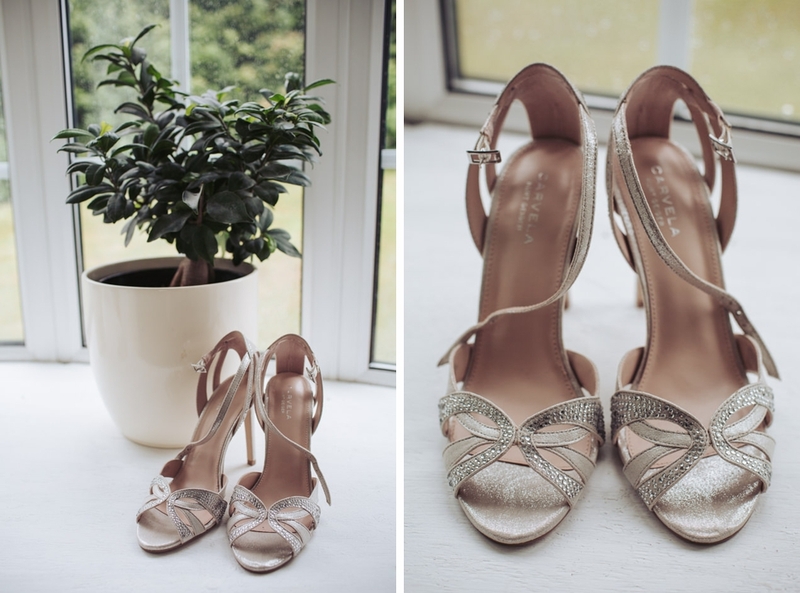 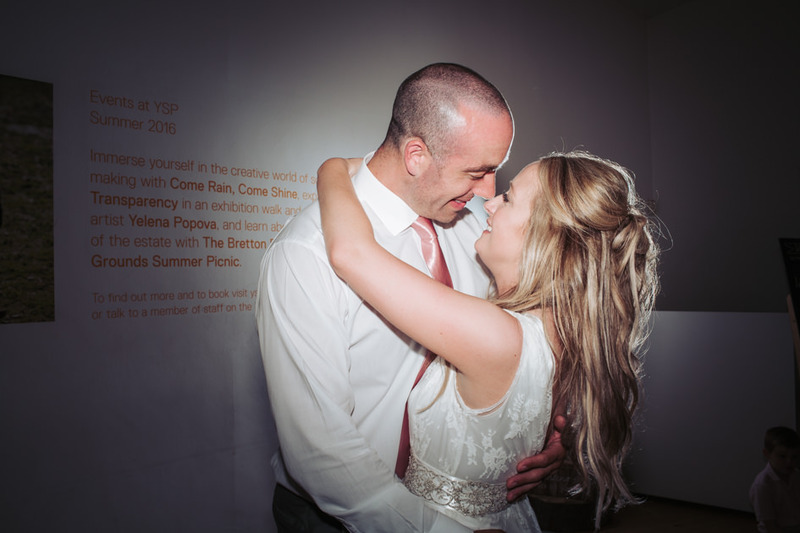 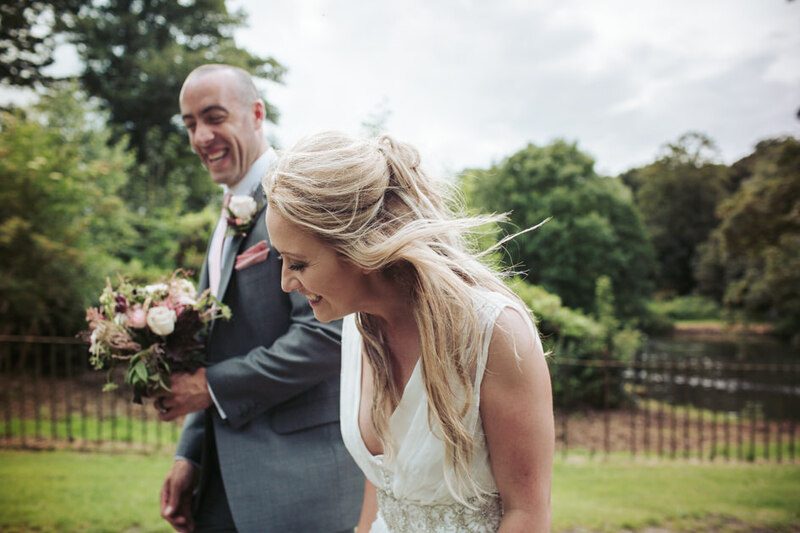 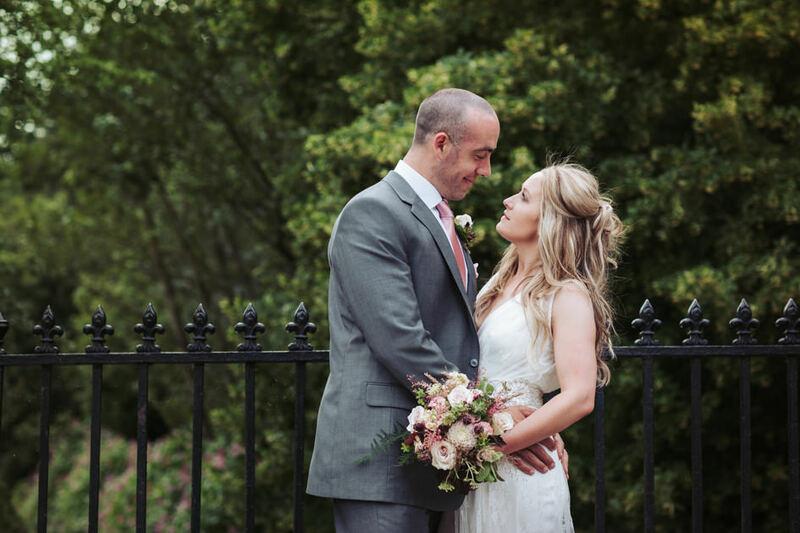 Take a peek below for a few of this Yorkshire Sculpture Park wedding photography highlights!